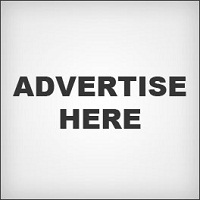 It appears that more companies have been improperly advertising their products in an attempt to catch our attention. However, we at Hamden High School will not be fooled- we are well aware of the lies being fed to all consumers in America. Even if you aren’t, I am here to bring you the truth.In this article, Eos lip balms, nail stickers and dry shampoo will be explained with science. 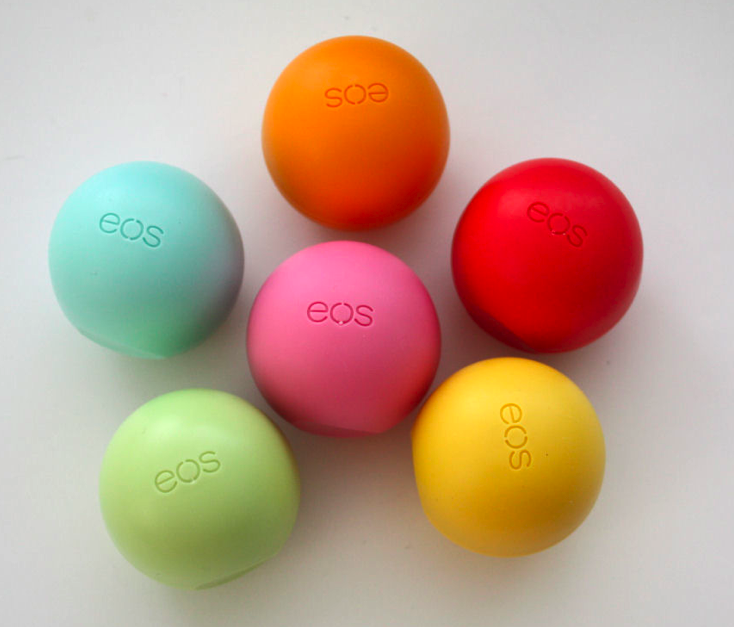 We have all owned one (or eight) of the Eos lip balms at some point. They are cute egg shaped balms for chapped lips that almost everyone and their dog seem to have lately. Eos claims that these lip balms are “the evolution of smooth” and “pamper you.” The company seems to have no problem hiding the good stuff about their products- they tout their labels of being 95% organic, paraben free and not containing petroleum like normal lip balms. However, if you are like me, you want to know what the other 5% is. The other 5% include various chemicals (whose names I certainly cannot pronounce). The claim beginning to become popular is that Eos lip balms actually make your lips more chapped. However, the worst chemicals which may cause this vary by flavor. For example, the label on the strawberry banana balm states that it includes “aroma” and “fruit extract.” The company does not provide more info about what these exactly entail, but the other ingredients are combinations of waxes and vitamins. Translation- the fruit flavoring and aroma are causing the negative effects. The verdict: Switch to a milder flavor of Eos or look into alternative options such as Burt’s Bees. Nail stickers took the beauty industry by storm this summer. Who can’t see the appeal of spending a fraction of the time of a regular manicure by simply putting stickers over your nails? In their many years on the market, nail stickers have not yet taken a large hit in their unwavering popularity. However, these stickers might negatively affect our nail health. Our nails, like the rest of us, need oxygen. Nails are made of densely packed epidermis cells. Most nail stickers have an adhesive which strips layers of these cells. Over time, the exposed “skin” can become infected. When the nail beds are covered by stickers, they are unable to “breathe.” Unlike nail polish, which allows the nail to breathe, nail stickers are a direct layer of harm. The verdict: Stickers for no more than a week! Dry shampoo has many benefits, one being that if you are in a hurry and are unable to wash your hair, you can spray the product in and run out the door. As much as this seems like an easy fix for the sleep deprived, it is in fact bad for you and your hair. To begin, the reason we wash our hair is because it absorbs oil produced by our scalp meant to moisturize our hair. However, too much oil can feel disgusting and look even worse! Dry shampoos contain products which absorb oi, and when the oil is absorbed, the scalp will just produce more oil without actually being cleansed. The only way to cleanse your scalp is with real shampoo. A good dry shampoo will absorb oil directly from your scalp. Though, bad ones will simply stick the absorbed oils to your scalp. Moreover, most spray on hair products have tons of atrocious chemicals. Many of these products are proven to cause long term hair loss and even cancer! The verdict: Use dry shampoo in moderation and use one proven to work! 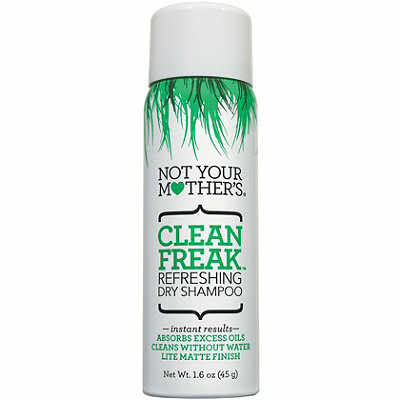 One cheap option is the Not Your Mother’s Clean Freak Refreshing Dry Shampoo ($4.74, prices vary by location).